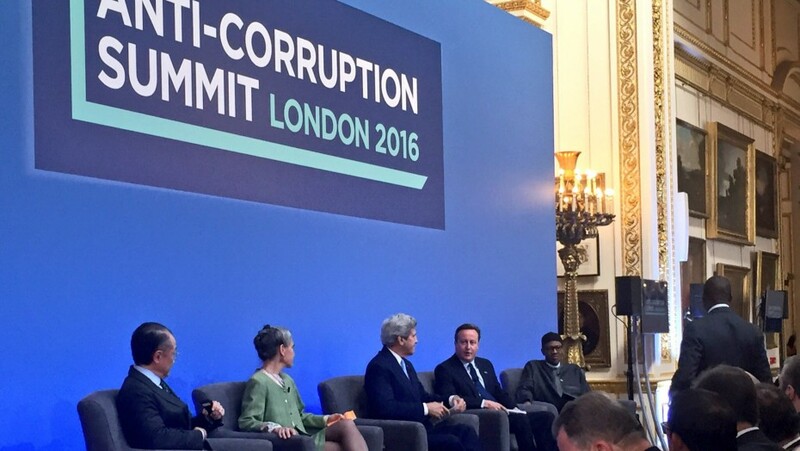 Open contracting at the UK Anti-Corruption Summit: Reflections and where next? The Anti-Corruption Summit gave a major boost to the cause of open contracting. There was a groundbreaking commitment in the communiqué to “making public procurement open by default – so that citizens and businesses can have a clear public record of how public money is spent” and commitments by 14 champion countries to implement the implement the Open Contracting Data Standard. We wanted to take a moment to pause and reflect on what we have learned and where we go next. Some of our partners have shared their thoughts as well, such as Charles Kenny of Center for Global Development and Martin Tisne from the Omidyar Network. Information on public contracts is too often buried in yellowing stacks of papers, deep in the basement of government ministries. This commitment represents a major change in the rhetoric and practice around government contracts. This shift is key to our theory of change, signalling a leap forward to shareable open data, followed by analysis and action, which is what we are all about as an organization. There were other hugely important issues in the communiqué too, more of which later. This is the first time that countries have laid out a concrete vision of accessible, useable data across the entire chain of public contracting, while connecting information across bureaucratic silos. While we know there is a major way to go to achieving truly open public contracting, we’ve crested an early peak (or at least a foothill) so it’s a good moment to catch our breath and reflect. Our headline narrative for the Summit was that public contracting is every government’s number one corruption risk because it’s where the money and the discretion in government are concentrated. This worked well. About 60% of bribes investigated by the OECD Anti-Bribery Convention were for government contracts. This evidence was cited multiple times at the Summit and clearly resonated. We believe open contracting really jumped up the agenda when our British hosts held their first Sherpas meeting in March. Representatives from Mexico, Ukraine, Afghanistan and others shared powerful testimony on the challenges in reforming a procurement system riddled with corruption and the exciting potential of open contracting to transform it. Anti-corruption is a defensive, compliance-based conversation. It’s about avoiding the bad. For us to have the global reach to which we aspire, open contracting will have to go beyond avoiding the bad to show that “open by default” genuinely delivers better outcomes, across the US$9.5 trillion pipeline of public procurement. That will take the conversation closer into the heart of government too. As Warren Smith, a changemaker in the UK government, puts it so nicely in this blog: “I believe that, through its procurement and contracting practices, the public sector can deliver better services for citizens at a lower cost to the taxpayer.” The emerging evidence is positive (see this excellent paper and this report from Slovakia) but it’s early days. 2) Isn’t public procurement fixed already? The media and many international NGOs aren’t yet focused on how contracting is a key element of an effective and competent state. Most of our local partners and allies get this; they experience the pain every day while focusing on country level reforms. In advanced economies it’s natural to assume though that public procurement is a problem that has largely been solved – until you dig into it and realise just how thin data actually are. We still need to become better in telling the story of why this matters so much to those audiences. The importance of these really came home to us at the Summit. To its great credit, the UK government fought long into the night to make sure the communiqué reflected the shift of making public procurement processes open by default. That came down to a specific, hard working individuals from the UK Government being prepared to lose several hours sleep over this. It was also painfully evident to us that it can take time to synchronize a government’s approach. Canada’s Foreign Service was not a supporter of open contracting at the Summit. Yet, we have been working with some great innovators and champions within the government there. Buyandsell.gc.ca in Canada is publishing trial data in the Open Contracting Data Standard. Montreal is actively publishing award data in an the open contracting data format. The provinces of Manitoba, Newfoundland and Labrador, and Ontario are exploring implementation. The most discussed issue at the Anti-Corruption Summit was beneficial ownership. Significant progress was made on improving disclosure although alas, the Summit stopped short of a game-changing commitment to open registers of real corporate owners. Now we need to show how important this information is. Using beneficial ownership data to scrutinize companies during public contracting will be the tip of the spear for ‘corruption hunters’ and open contracting benefitted from wider civil society support because of this. We need to make sure implementation of both open contracting and beneficial ownership is coherent, complementary, and mutually reinforcing. We will also need scaleable solutions to collect and share beneficial ownership information effectively. We are part of an alliance with OpenCorporates, Transparency International and others to experiment with a global register to that end. It is fantastic to see 14 countries offering to adopt open contracting (the US was a very pleasant, unexpected surprise). Our mix of assistance, cheerleading and field-building will need to be radically different in each one. We will have to retool our approach to accommodate this. We aspire to build the field, not be the field so we are going to have to get even better at working with others and at connecting to the concerns that move our champions. We also plan to use existing transparency and accountability mechanisms like the Open Government Partnership to help oversee delivery of these new commitments to open contracting. We’ve often pitched open contracting as a solution at the high end of open government aspiration and competence. That is about to be tested with countries like Nigeria and Afghanistan potentially implementing open contracting. We will be able to build on excellent coders and practioners outside government, such as the Budeshi.org team in Nigeria, or very committed reformers in government, as with the General Directorate of National Procurement in Afghanistan, but the overall environment, as we all know, is “fantastically corrupt” so implementation will not be easy. Stories from successful early adopters of open contracting in challenging environments, such the Prozorro reforms in Ukraine, are really about change management and a strategic shift in public and private sector behaviour. Building a coalition of change, a strong public narrative and extensive support for data users are vital. Open data is the start of the journey, not the end: outreach, communication and a relentless focus on user needs are vital if we are to achieve real impacts. We anticipate that many countries will face challenges in contract monitoring where data will be thin, even in advanced economies. A lot of corruption in contracting actually happens after the award – see this Corruption Manual for Beginners for example – yet most of the scrutiny is on award processes. We will need to making sure we bridge this disconnect. The tectonic shift from closed to open is happening much faster than we would have expected only a year ago. We will need to adjust our strategy, shift the mix of support we offer, and make sure countries get the support needed so that actions can follow commitments. On which note, we are recruiting for a director of learning and two program associates to help us deliver on all this. So if you are a super smart, sassy, can-do team player and fancy working at the cutting edge of anti-corruption, better government and better business, don’t hesitate to throw your hat in the ring and help be at the forefront of this transformation.